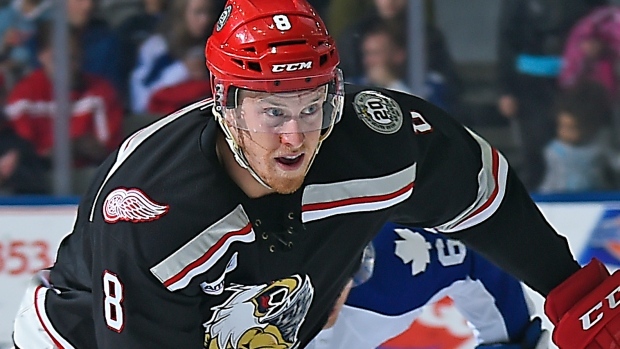 GRAND RAPIDS, Mich. - Anthony Mantha had the eventual winner as the Grand Rapids Griffins downed the Manitoba Moose 5-1 on Saturday night in American Hockey League play. Tyler Bertuzzi, Martin Frk, Eric Tangradi and Tomas Nosek all scored as the Griffins (38-20-2) won their 10th game in a row. Tom McCollum made 32 saves for the win. Axel Blomqvist replied for Manitoba (18-35-9), the minor-league affiliate of the Winnipeg Jets. Eric Comrie stopped 26 of 30 shots for the Moose, who have lost five in a row. Grand Rapids was 2 for 5 on the power play and Manitoba could not score on its five man advantages.